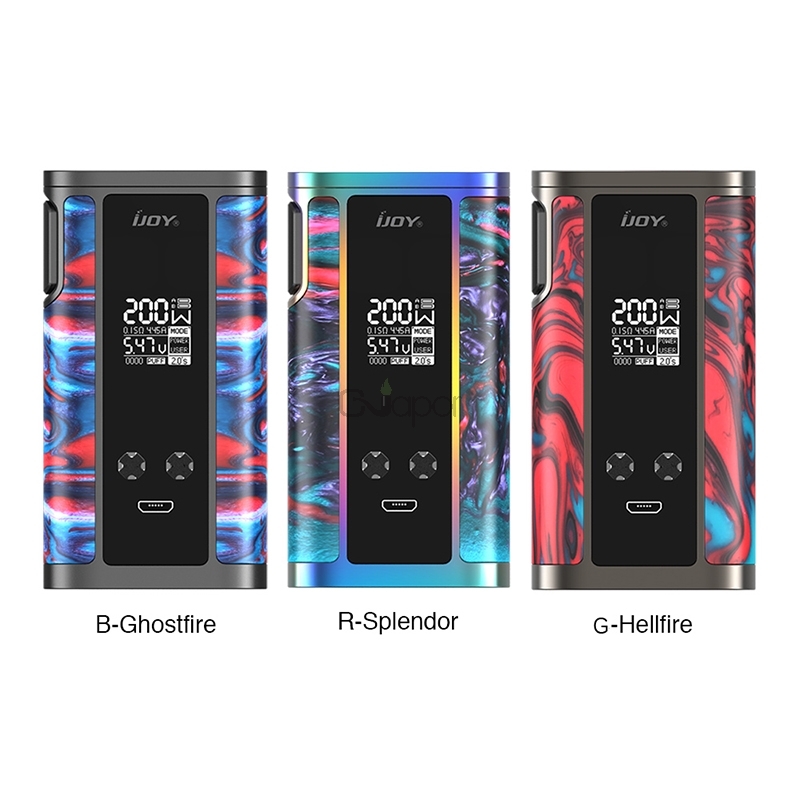 The Captain Resin Mod by IJOY comes with ergonomic size, easy to carry. It employs resin pattern, which is attracitve and special. It's powered by dual 20700 batteries with 200W max output. The mod supports POWER, TEMP, TCR modes and 2A quick charging. Plus the 0.96inch OLED screen, upgradable firmware and various protections, the mod will not let you down. Available in B-Ghostfire, G-Hellfire, R-Splendor. 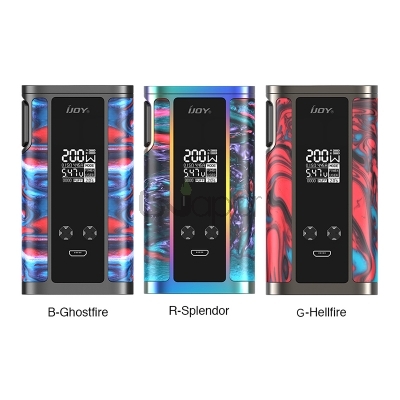 Three Months warranty period for IJOY Captain Resin Mod.